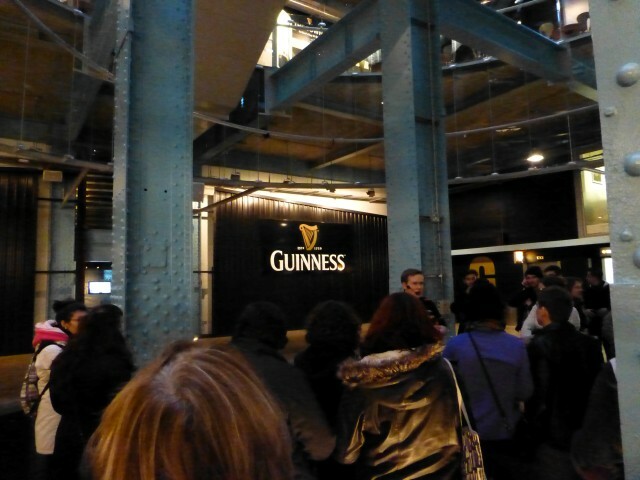 Our first attraction in Dublin was the Guinness Factory Tour. I have never been a big fan of Guinness, but I figured, when in Rome, do as the Romans, right? We had to first return the rental car, but couldn’t find the rental car office in the City. After we had to schlep all the way out to the airport to drop off. We hopped in a taxi and headed straight to the Guinness Factory. 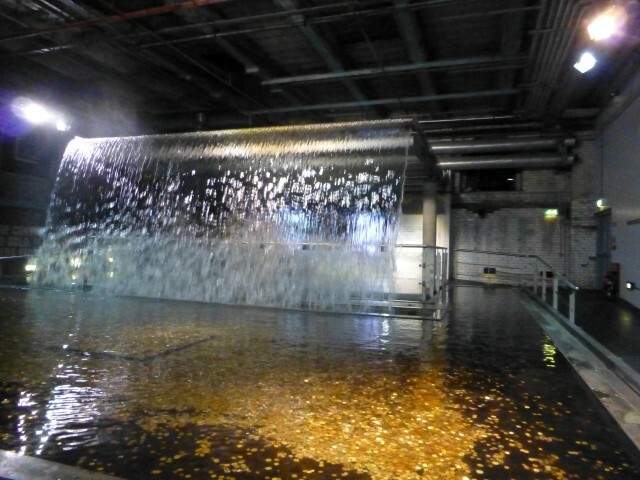 The taxi driver must have thought we were crazy – hopping off a plane and heading straight to the Guinness Factory. We bought tickets and headed in to the tour staging area. We took some pictures then were greeted by the “tour leader”. This guy wasn’t really a tour guide though, he just welcomed us and we guided ourselves through the factory. I was hoping this tour would be more like the Heineken Tour I took in Amsterdam in 1999. At Heineken we had a true guide walking us though the facility talking about the history and adding color. We quickly walked through the facility. Reading about the ingredients that make Guinness a Guinness: Water, Hops, Barley and Yeast. We spent about 20 minutes working our way through the space. Not beer aficionados, so we just read the basics and moved on. We had more to do in Dublin than just learn about Guinness — we had to drink some! 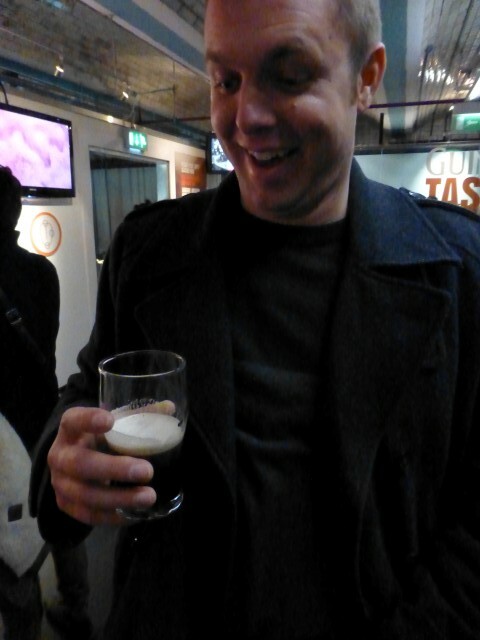 Half way through the tour we were given a small glass with a tiny bit of Guinness in it. As you can see below, MS was quite excited about this little treat. With your ticket price you get your small sample beer. 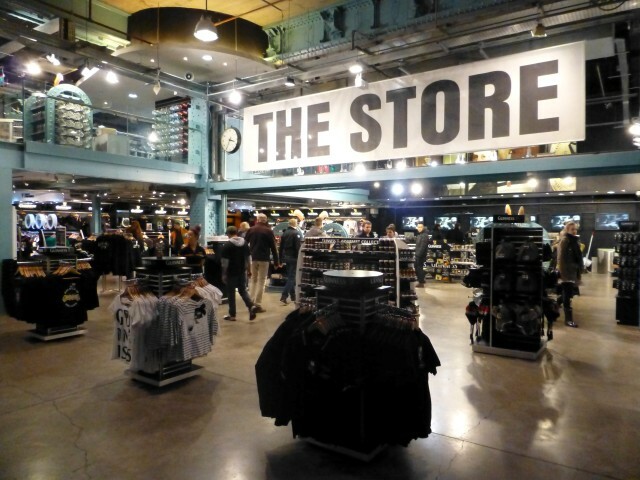 You can then continue to one of the several bars on site and trade in your admission ticket for a full size Guinness. You can go learn the proper way to pour a Guinness or you can go up to the Gravity Bar and see a beautiful view of Dublin and have a full pint. We opted for the latter. Why would I want to wait in a 30 minute line to learn to pour a beer? You can only get one beer in the Gravity bar – no cash bar up here. A couple, who didn’t drink, gave us their tickets as they were leaving. Score, an extra free beer! I am not a big Guinness fan, but I do think this is something you need to do while in Dublin. You can spend as much time as you’d like studying or drinking Guinness here — if we didn’t get that extra free beer or if we weren’t there at sunset I could see us spending less than an hour here and moving on to another tourist location. When I go back to Dublin, will I revisit the Guinness Factory — no, I did it once, I checked it off the list and I am done. 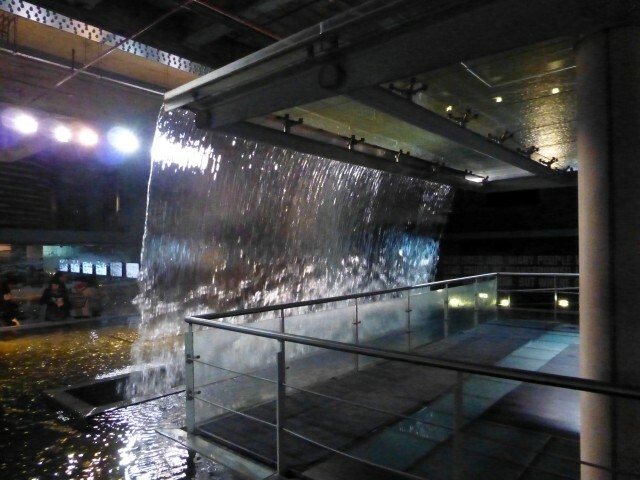 Have you visited the Guinness Factory / Storehouse? 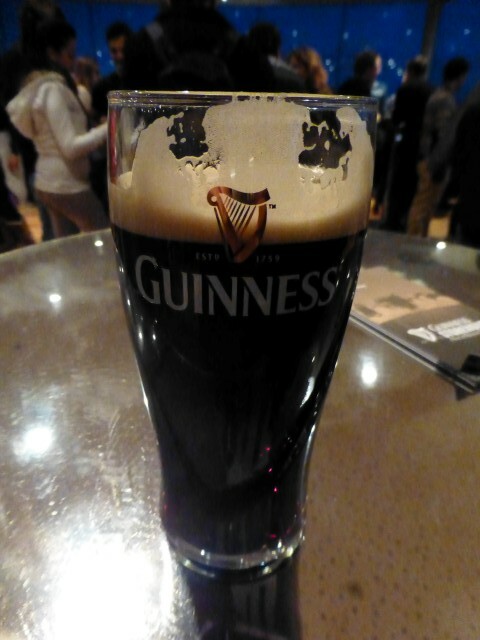 Do you think Guinness tastes differently in Dublin than it does elsewhere? Do you try to visit specialty breweries or wineries when on vacation? By Tim in Travel on December 15, 2012 .